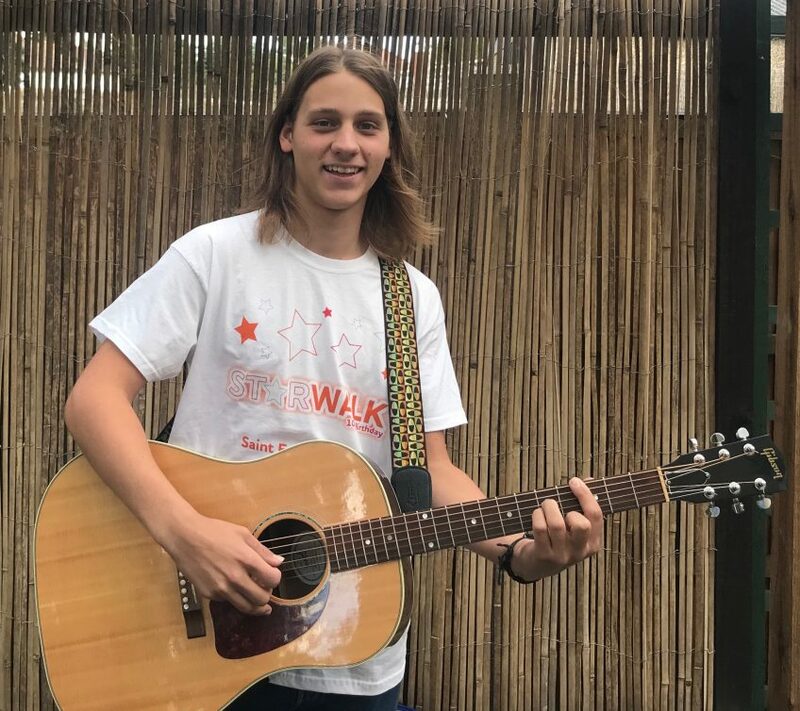 17-year-old music sensation Josh Gleaves will be busking under the stars at Saint Francis Hospice’s annual Star Walk. On Saturday 22nd September hundreds will walk the new route around Romford raising money for the charity’s specialist end of life care services. The past nine years have been a huge success with over 3,000 ladies taking part and an incredible £595,000 being raised for the Hospice. To celebrate ten years of the charity walk, men are being invited to join in on the fun for the first time ever at the Liberty Centre in Romford. On the night there will be a live performance from Josh, face painting, a TOWIE appearance, and a piece of birthday cake with a medal for each star walker. But this isn’t the first time Josh has supported Saint Francis Hospice. Ever since his mum, Ingrid Gleaves, worked as a nurse on the Hospice’s Inpatient Unit, he has helped the local charity at numerous events. The young singer who is currently studying a BTEC in music has previously performed at the charity’s Car Festival and Light up a Life services. Josh, from Collier Row, said: “I have a few friends who have used the Hospice’s services in the past and I know how vital their support has been. Josh has been incredibly successful ever since he began busking at the age of 12. Last year he was crowned the Gigs Champion of 2017 and was presented with the song writing prize, naming him London’s best busker. Josh also came out on top at Dagenham’s Roundhouse Music Festival, where after singing his way to the final he competed against threes to be crowned the Roundhouse Unsigned music winner. At this year’s Star Walk Josh will be singing a mixture of original music and copies, with a blend of folk, rock and country sounds. The evening will be a huge party at the Liberty Centre in Romford, so make sure you don’t miss out. Check-in opens at 9pm with walkers setting off at 10pm. Tickets cost £20 (includes a limited edition 10th birthday t-shirt and medal) with a fundraising target of £120. Book today to see Josh perform by visiting https://www.sfh.org.uk/star-walk or contact the Saint Francis Hospice Events Team on 01708 753319 ext. 2278 or email events@sfh.org.uk.